Did you know that roughly 80% of weddings take place between May and October? If you’re starting to make your own wedding plans, choosing the right date can save you thousands of dollars. Understanding how to navigate peak days, locations, and months is the best kind of research couples can do before setting the date for their special day. Read on to learn everything you need to know about wedding seasons and how to have your dream wedding without breaking the bank. Where you’re located in the country also impacts the peak wedding seasons. As a general rule, most people want to get married when the weather is pleasant. If you live in the south, warmer weather comes much earlier in the year than northern states. This means that many people have their weddings in May or June. The weather at this time of the year is perfect. If couples wait until July, August, or even September, the sun is too strong. Even if the wedding is held indoors, people could still sweat and feel uncomfortable throughout the whole event. When you live up north, the window is much wider for agreeable weather. The peak months to get married are from June to September. Although spring carries love in the air, if you can wait until cooler months to get married, your budget will be spared big time. If you want to save money on your wedding, then you should find a caterer who cooks with foods that are grown locally. Foods that are out of season have to be shipped far distances, which reflects in the prices. When you get married in the spring, some examples of produce that are in season include avocados, lemons, peas, lettuce, carrots, and broccoli. Summer produce includes bell peppers, berries, squash, tomatoes, green beans, eggplants, and cucumbers. Some fall favorites are pumpkins, potatoes, parsnips, beets, collard greens, sweet potatoes, and apples. In the wintertime, you can find an abundance of squash, yams, grapefruits, turnips, leeks, celery, and pears. Not only will a local menu save you money, but it can also make your wedding party feel more festive alongside your seasonal flowers and decorations. Some brides have had a wedding location picked out since they were little girls. If you’re more open-minded about where the wedding can take place, you’d be surprised by the amount of savings you could find. Want to know how to save money on wedding locations? Try looking for less obvious venues. Places of worship, country clubs, and gardens are popular wedding destinations. These venues likely offer wedding packages that make the planning process easier. Although the wedding is less stressful, you pay a hefty fee for the convenience. It’s much more affordable to seek out an alternative venue. Local parks and other businesses with beautiful surroundings can make the perfect backdrop for your big day. It doesn’t hurt to ask whoever owns the establishment if they’d consider renting out the space for your event. Another way to cut expenses on the venue is to consider an outdoor wedding. Not only will you save on decorations, but the land itself is free. Backyard weddings, beach weddings, and mountaintop weddings are a few examples of stunning ceremonies you could choose. As long as you don’t get married in the winter, you can take advantage of extremely cheap prices for outdoor weddings. If you want to get married in the winter but want to avoid expensive venues, try asking local lodges if they can make room for your wedding party. If you like to plan parties with themes, then you can use this skill to your advantage when planning your wedding. Getting creative with the theme allows you to find more clever ways to save. Want to turn your wedding into a winter wonderland? Keep the celebration at home and let your Christmas decorations stand in the place of more expensive alternatives. Your wedding dress will look like snow and your vibrant Christmas tree can bring a little piece of the great outdoors inside. Want a fall wedding? Get married on the top of a mountain and let the stunning red, yellow, and orange foliage surrounding you do all of the decorating. You can even serve festive treats like cider and candied apples. If you have your heart set on getting married during the summer, try planning a beach wedding before June. The weather will still be warm, but the beaches won’t be as crowded or hot. Choosing a theme is a great way to plan your wedding around peak seasons so you can save up for your honeymoon. If your family and friends are an important aspect of your wedding, then planning an off-season wedding is the best way to ensure that the most amount of guests will be able to attend. 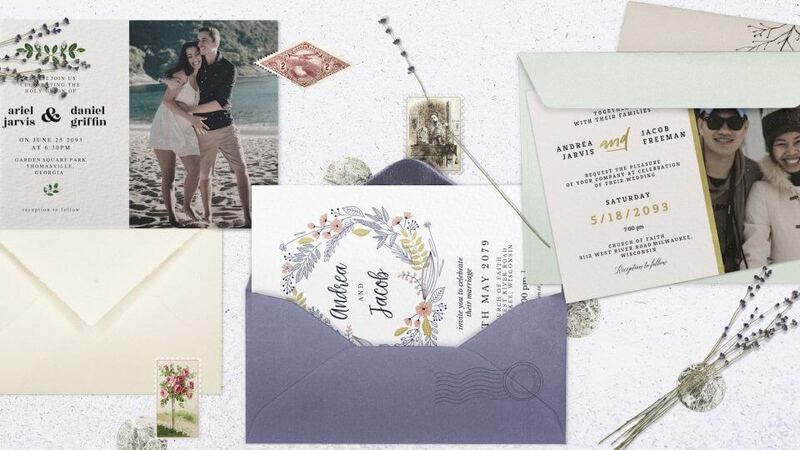 Since summer weddings are so popular, your guests may get a lot of other wedding invitations that would force them to choose which weddings they can attend. Lots of people prefer to do their traveling in the summer as well. As long as you avoid the other peak travel time around the holidays, your loved ones will most likely be available to attend your wedding. Even if you do choose an expensive venue, booking off-season is the best way to lock in competitive discounts. Since less people get married in the cooler months, you won’t have to worry about being placed on a waiting list for your dream venue. Another financial bonus is that when your wedding is off-season, so is your honeymoon. When you save so much money on your wedding plans, you can feel better about spoiling yourself with a romantic getaway after. If you keep your wedding local and off-season, you can celebrate your marriage with all of your loved ones at an affordable price. Instead of shelling out a lot of money for a destination wedding, you can save the traveling for an extended honeymoon. When couples are figuring out the best day to host their wedding, it makes sense that Saturday is the most popular day of the week. Most people have the weekend off from work and it’s a day when everyone is happiest. Since there is such a high demand to have weddings on a Saturday, wedding venues can get away with charging much higher fees on this day of the week than any other day. This cost applies to all seasons throughout the year. If you want to avoid this convenience fee, you should look into booking your wedding on a Sunday instead. Since it’s still the weekend, most people will be free to attend. Just be sure to send out your save the date cards well in advance so everyone can get all of their weekend chores done on Saturday. This tip works best if you’re planning on staying local for your wedding. Wedding destinations that require extensive travel are best for Saturdays so people don’t have to take vacation days from work. When you stay local, people will be able to get home in no time. If you’ve always dreamed of having a summer wedding when most couples are getting married, then a Sunday wedding can help balance out the extra costs from peak wedding season. 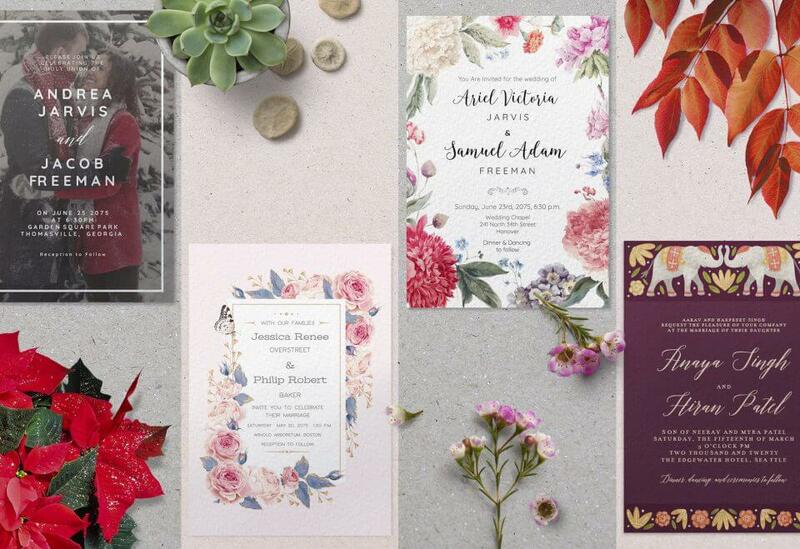 Want to Save Money on Wedding Invitations? Avoiding peak wedding seasons is one of the easiest and most effective methods for saving on your wedding expenses. With enough planning and creativity, you can still have your dream wedding on a budget. Wedding invitations are another detail that can impact your bill more than you’d expect. Greetings Island believes that couples should have high-quality, customizable wedding invitations at affordable prices. 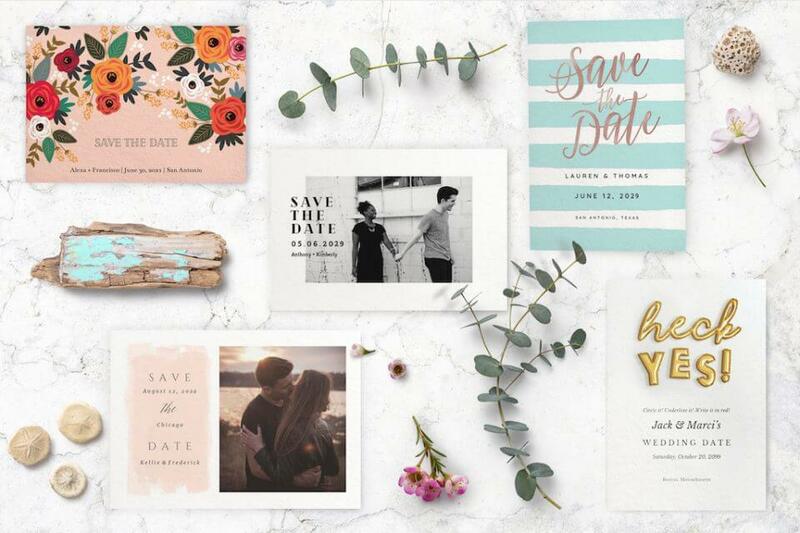 With so many options to choose from, you’re guaranteed to fall in love with our wedding invitations templates you can download, print or send online. Are you planning a bachelor or bridal party? We’ve got invitations for those, too. When your magical day is over, you can also create beautiful thank you cards. Greetings Island would love to help you celebrate all of life’s special moments.